Another gorgeous, easy to use bronzer. 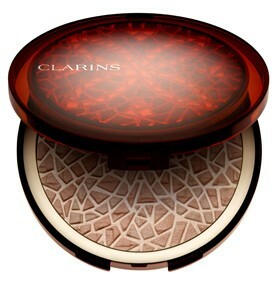 This one has a whole mosaic (hence the name) of varying bronzer shades on a pale background and the resulting effect is very pretty and fool-proof. Shade-wise, the final ‘depth’ of colour is about the same as the Urban Decay Baked Bronzer in ‘Toasted’ that I filmed for my Sunglasses video earlier in the week. It’s not nearly so pale as the Estée Lauder Sea-Star powder and it’s much, much more matte, which is surprising considering that the pale powder ‘background’ looks so shimmery! I think that this would be best suited to skin tones that are medium-fair and darker, but then I like my bronzers to be quite inconspicuous and subtle so that I can just whack them on with a huge brush and not worry about looking over-the-top! I’ll try and put this in a video soon so that you can see how it looks, but if you pass a counter have a try! The compact itself is very lovely – it reminds me of a Guerlain one I owned years ago. Previous Post Escentual Blog of the Week!